Do you need your laptop screen fixed ASAP? Not a problem! The qualified technicians at Laptop Screen Replace with work on-site at your office, home or school. We can replace your laptop screen from 8am until 8pm, 7 days a week, anywhere in the Botany Bay region. Same day service is guaranteed! 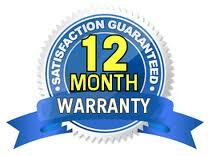 We want you to have complete peace of mind after having your laptop repaired by Laptop Screen Replace - which is why we offer you a unique 12-month warranty on all our repairs. The industry standard is only 3 months. So, if your laptop suffers from the same fault within 12 months, we will repair it for you free of charge, including both labour and parts. If for any reason it is not possible to repair your laptop under warranty, we will be ha ppy give you a full, no quibbles refund for the original repair. Call us on 1300 829 893 or email us at info@laptopscreenreplace.com.au if you have any questions, or wish to arrange an appointment to have your screen replaced by Laptop Screen Repair Botany Bay Branch.